Your will get FREE reflective dog collar tag with every reflective hound collar from Dog Moda! 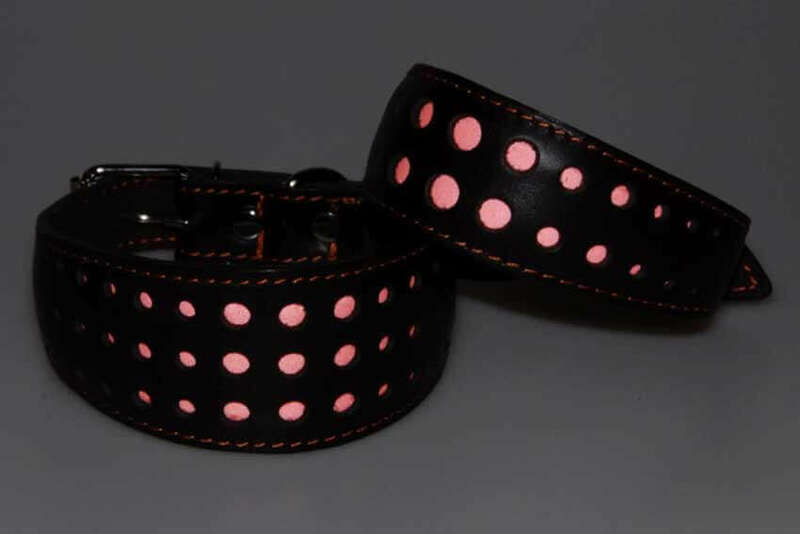 Our high visibility reflective dog collars are perfect for early morning, evening and night time walks. 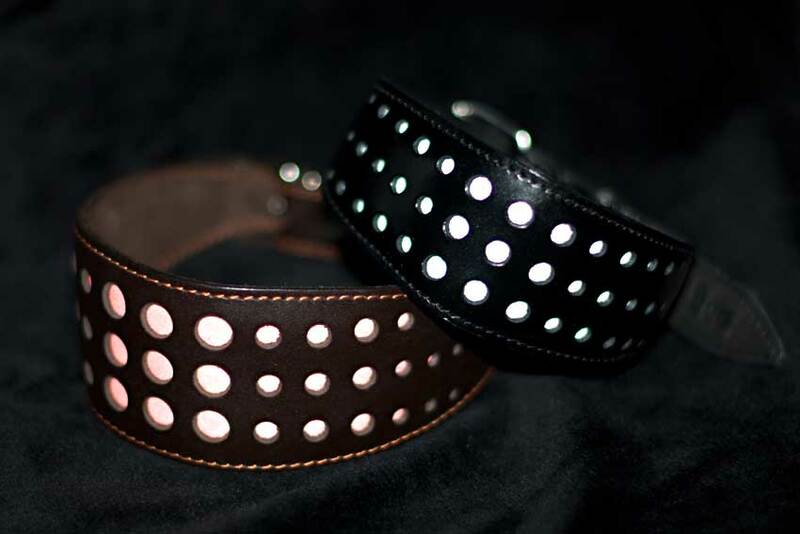 This unique night safety reflective hound collar reflects light in low light conditions and will help you and your hound to stay visible and to be seen by oncoming traffic on dark roads, pavements and paths. Simple and elegant design guarantees increased visibility in low light situations by combining high performance light reflective orange material with brown leather and decorative stitching. 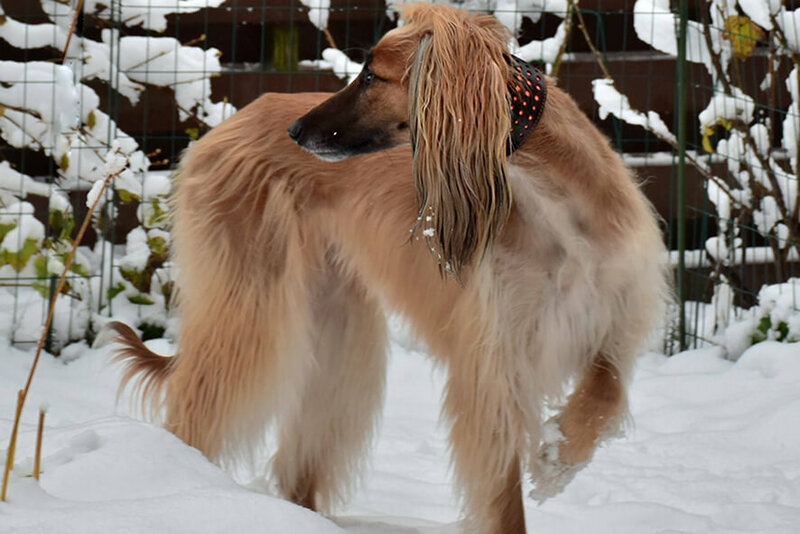 These high visibility safety collars are specifically designed for sighthounds. 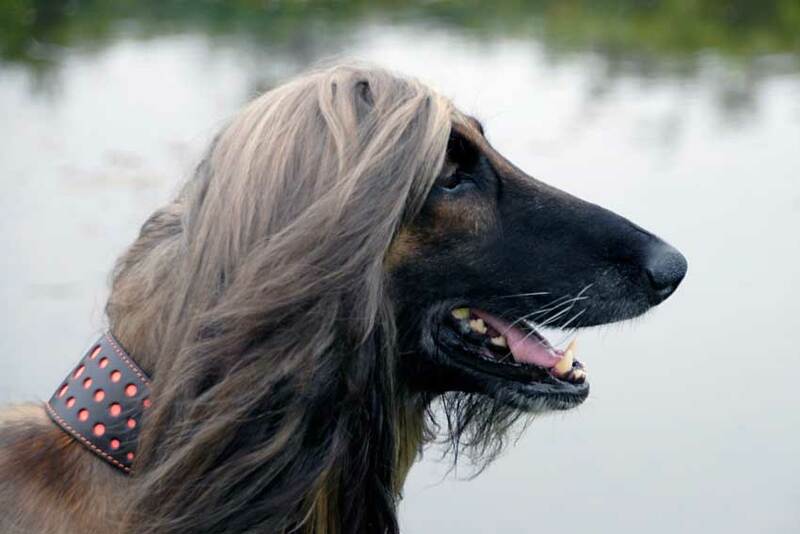 Therefore, they are of the right shape and size to fit all sighthound breeds. 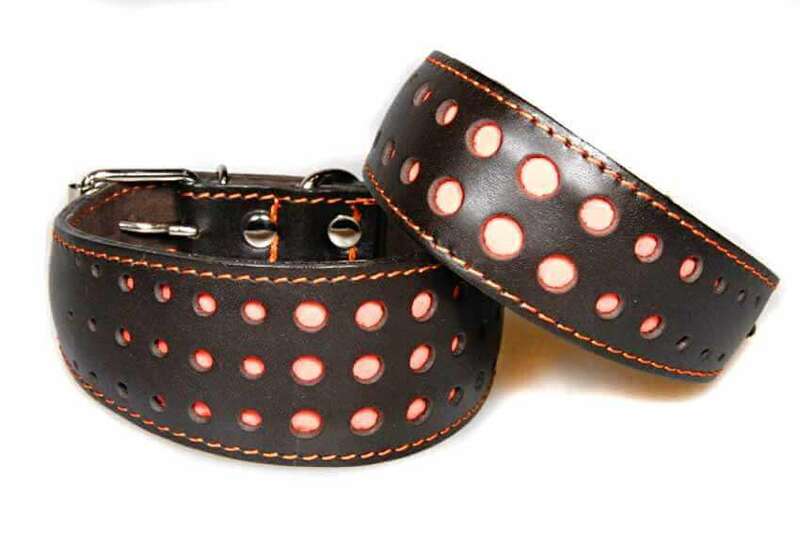 Moreover, for ultimate hound's comfort this safety reflective sighthound collar is fully padded and lined with brown leather. 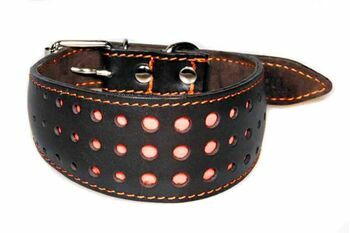 This safety reflective hound collar is also available in black leather and silver reflective material. 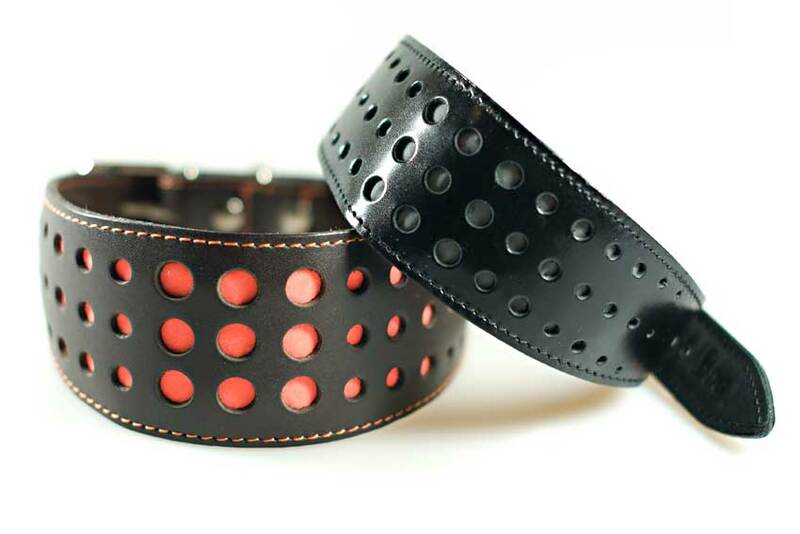 This stylish safety reflective leather collar can save lives by making you and your hound visible to oncoming traffic from as far as 300m away. Thank you, the lovely deerhound collar arrived today and already adorns my Charlie.